The concept of an Australian arm of Ford that makes unique products in Australia for Australia is dead, victim of a strong Australian dollar and a weak market for large vehicles according to multiple sources. The Falcon will die with it. We're just getting this information in, but The Australian and other outlets are reporting that Ford's Australian boss Bob Graziano announced that the company would close both production facilities in Australia at a loss of approximately 1,200 jobs. Ford has produced cars in Australia since the Model T in 1925. While Ford sells many vehicles in the country, there has long been a belief that the kind of large RWD vehicles like the Falcon (and Territory SUV) needed to be produced. They were great for enthusiasts but the market couldn't exactly support them, with a decline for the Falcon of approximately 75% over the last 20 years. Ford will continue to produce the Territory and Falcon, which were both supposed to have one more refresh coming, for approximately three more years until October 2016, but those will be the last of the line. After that, Ford will only sell their "global" vehicles like the Fusion and Focus. 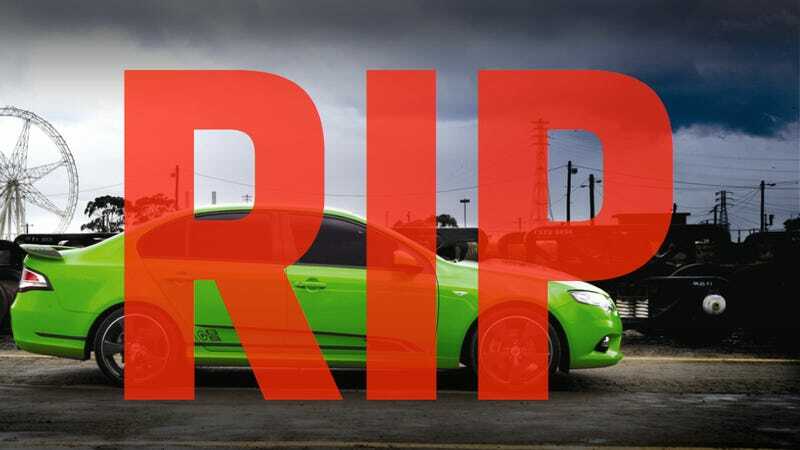 So Ford Australia will still exist, but it won't be the same.